“I’m a confused Mexican Jew.” So says Daniel Lubetzky, Founder and CEO of KIND Snack, in his very personal interview with Columbia faculty member David Rogers at BRITE ’16. Their discussion touched on the many ideas behind KIND Snacks, from the beginnings of the company, to the strategic thinking that forces Lubetzky to stay away from false compromises, to his thoughts on brands and purpose. It was precisely his intention to create business opportunities for neighbors in conflict regions what brought him into the natural food industry. Ten years after his first attempts, he identified the need for a healthy and tasty snack, and KIND was born. Watch the full interview with Daniel Lubetzky. Daniel Lubetzky had the lofty goal of starting a company both economically sustainable and socially impactful. In 2004, after ten years as a social entrepreneur, he started KIND Snacks. Now valued at more than 700M USD, the company still follows his vision to build a community, a movement, and ultimately a company with the goal of doing the right thing. It was early in his career, however, when Daniel Lubetzky learned the hard way that a mission does not sell a product, the product sells the product. Back in the early Nineties when he was starting PeaceWorks, Lubetzky methodically walked the streets of Manhattan selling dried tomato spreads. Peaceworks produced Mediterranean spreads and other goods, but Lubetzky’s pitch focused on the company’s model to try to promote peace in the Middle East by sourcing and partnering with companies from regions in conflict — Israel, Palestine, Egypt, Turkey, Indonesian, and Sri Lanka. He wouldn’t leave a store until they either bought his product or told him what he should do to improve it. Through these interactions with store buyers he realized Middle East peace wasn’t selling the spreads, the spreads were selling the spreads. So, he soon put quality first, even when it was more time consuming and expensive. After a decade of positive press with KIND snacks, it came as a surprise to Lubetzky when the FDA sent KIND a letter this year indicating that four of its bars were in violation of marketing labeling guidelines for the use of the word healthy and the plus sign. Like many others would do, KIND responded immediately and adjusted its labels. Unlike others, they took the slap on the wrist as a way to start a conversation on what it means to eat healthy and how the FDA guidelines may be misleading. On December 1, 2015, KIND submitted a citizen petition to the FDA, asking the agency to update their requirements related to food labeling in order to reflect a shift in dietary guidelines that focus on whole foods that help achieve and maintain wellness, rather than on specific nutrient levels. This move, which if made by a different snack company could look like just another lobbying effort, has been embraced by KIND’s stakeholders as a way of doing something good for the community: aiming to help people recognize and understand distinctions between whole foods and processed, low-fat “healthy” foods. This permission is given because the snack company has built its brand with the hope of spreading kindness. One example of this is the #kindawesome initiative –part of the company’s KIND movement- that is“a little program we cooked up to celebrate kind acts everywhere, spot a kind act, give a KIND snack. On us!” Anyone can send KIND snacks to recognize an act of kindness via twitter, Facebook, or email to people they’ve spotted doing everyday kind things. See Daniel Lubetzky at BRITE ’16 (March 7-8, NYC) to learn more about his story and KIND. A PwC’s survey of Global CEOs found that despite 74 percent of respondents expecting to grow their operations in the next 12 months; only 13 percent currently have key operations in Africa. There is ample opportunity for brands to be pioneers in the market. According to the World Bank, Sub-Saharan Africa’s GDP is estimated to reach 5.2 percent in 2014, while global growth is estimated to rise by 3.7 percent. The International Monetary Fund (IMF) reports that out of the 20 countries with the highest expected GDP growth in 2014, nine are from Sub-Saharan Africa, with Sierra Leon’s GDP projected to reach 13.04 percent by the end of the year. Africans are using mobile technology to optimize markets, to improve health care, and to voice their opinions. It is not surprising that Africa’s top two most valued brands are MTN, a South African telecom service company, and Vodacom, South Africa’s largest mobile operator by subscriber numbers. In fact, MTN is the only African brand to make it to the top 100 list of MillwardBrown’s BrandZ tracker. African consumers are tired of being misrepresented and are using mobile technologies and social media to speak up about product performance, customer service, and advertising. Take the example of Kenyans on Twitter (#KOT). During the 2013 attacks at Westgate Mall in Nairobi, #KOT denounced CNN with the hashtag #someoneTellCNN for reports showing Kenya as a nation in chaos while they were suffering a terrorist attack. When developing a strategy for Africa, it’s important to consider that: 1) word of mouth (empowered by mobile) is the predominant way of communication, and 2) market research in the continent is very limited, making it extremely important to learn about the aspirations of local communities when designing your strategy. 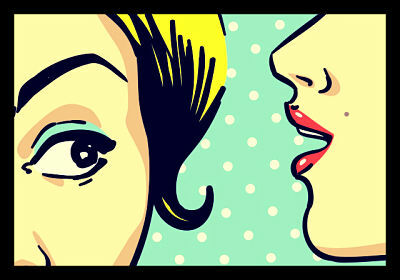 Since many common products are new for local markets, word of mouth — both in person and through mobile platforms — will help brands provide customers with stories to tell about their products, and will give these brands the opportunity to educate consumers on how to use those products. Building trust is especially important in an environment where shoppers maintain a strong brand consciousness. A 2012 McKinsey survey shows that 59 percent of African grocery shoppers are loyal to their favorite brands, compared to 38 percent who chose the cheapest offer. Understanding how locals are using products will give you clues on how to market to them. Think about the contrasts that are part of the daily life of your customers: from fetching water for their households, to actively using mobile phones to get livestock price updates. Brands entering or repositioning in Africa will need to pioneer market research efforts in the continent; understand how Africans use mobile technologies and embrace these technologies as part of their strategy; and earn the trust of African customers. Their strategies should be both global yet hyper-local, and consider partnerships with established brands which will share knowledge of distribution channels and influencers, and how to participate in informal economies. Warby Parker effectively disrupted the eyewear industry in two ways: First, by using a direct, e-commerce model -cutting out the middle man- and by building a new brand –thus not having to pay licensing fees-, they significantly lowered the price of stylish eyewear; their frames, with premium lenses included, start at $95, that’s 25% of the market price. And second, by creating their “home try-on program,” sending customers, free of charge, a test package of frames they select to try on at home before they commit to buy. As a spin-off benefit, the home try-on experience is a shared customer experience, inherently accessible to family, friends, and even co-workers. The program, then, turned in to a marketing tool itself. Blumenthal described Warby Parker as a lifestyle brand that offers value and service with a social mission at its core. With every pair of glasses purchased, Warby Parker gives a pair of glasses to someone in need. “Even at $95, there are still about a billion people in the planet that don’t have access to glasses and we think that that’s just crazy,” he said. At the end of each month, the Warby Parker team tally up the number of glasses sold and makes a financial contribution to Vision Spring; an organization that uses glasses to create jobs, making a more sustainable impact. In terms of their own business, Blumenthal believes that having a social mission helps increase customer loyalty and referrals, but does not drive the decision of making the first purchase. According to Blumenthal, what has helped build strong relationships with customers and ultimately increase sales is a culture of transparency. “The more vulnerable we are, the more that we put ourselves out there, the deeper those relationships and the more valuable they become from an economic standpoint,” he added. 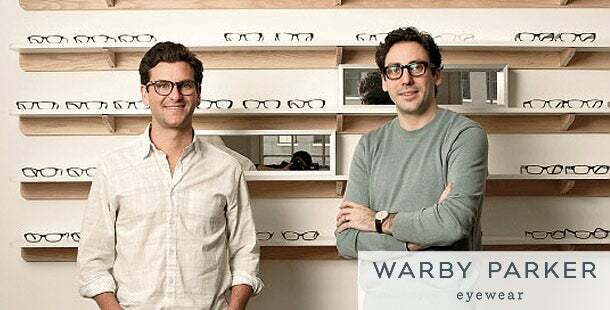 In just four years, Warby Parker has sold over 500,000 frames and has grown from an apartment-based startup in Philadelphia, to a 350-employee business with a flagship store in SoHo. Sharing is a fundamental element of the Warby Parker strategy – internally with staff and externally with consumers. As the majority of Warby Parker employees are millennials who want instant feedback on their performance, the leadership team has instituted monthly informal reviews and quarterly 360° reviews. Moreover, as Ross Crooks explains in Forbes, “Business is becoming increasingly personal…; we crave more personal connection in a web-based world.” Customers want to relate to the people behind the brands they support, they want to know “that employees are people they might hang out with.” The Warby Parker team constantly keeps their fans abreast of “what [Warby Parker is] doing, how and why”, which, Blumenthal says “pays in spades.” According to a recent Mintel study, millennials are more likely to overshare than their Baby Boomer parents. Warby Parker’s annual report is a perfect example of how the company creatively engages stakeholders. The uni que feeling of its annual report has proved to be a successful marketing tool, leading to the highest sales days and traffic after releasing it each year and gaining free publicity for the brand; with fans sharing the report in social media, and getting mentions in press outlets such as Forbes, AdAge, Bloomberg BusinessWeek and Business Insider. This year’s infographic annual report is laid out as an illustrated calendar with an update for each day of the year, is described by Business Insider as “a shareable page of organized chaos inspired by internet culture.” One tidbit of transparency it shares in this year’s report is the fact that half the inventory of their new collection was delivered to the wrong address. In today’s world, Blumenthal said, “brands are able to rise faster than ever before, but they’re also able to collapse faster than ever before.” Warby Parker has found that the best way to maintain momentum is by strengthening its connections with its customers through the sharing of relevant, personal, and entertaining content and the creation of experiences, regardless of the platform. Watch Neil Blumenthal’s BRITE ’14 talk to learn more about how Warby Parker incorporates innovation into customer experience. Much like a brand repositioning itself, eyeglasses have a new image—from a functional apparatus that 1980s youth cringed over (à la braces) to a fashionable tool that many are proud to don. This bodes well for Warby Parker. The burgeoning e-commerce eyewear company takes pride in likewise transforming those of us who vividly remember wandering blindly through school hallways into trendsetters for the “in-crowd” without breaking bank. But Warby Parker offers more than a pretty face. The student-founded start-up acted on a deeper vision and managed to hit its first-year sales goals in just three weeks… on a $120k budget. For a mere $95 you can purchase “fully loaded,” custom fit glasses with anti-reflective, prescription lenses—which, by the way, are manufactured in the same facility as luxury brands that charge hundreds of dollars for frames alone. But the three-year-old retailer embraces an even greater purpose at its core—donating stylish specs for every pair sold to those who have forgone proper vision because they can’t afford to buy even low-priced eyeglasses. Warby Parker, the David in a Goliath world, competes with industry brands like Luxottica (Ray Ban, Oakley, Oliver Peoples) and LensCrafters that monopolize the market. But Blumenthal and his cohorts aim to make their business model an example for small enterprises and Fortune 500 companies alike. “Ultimately businesses can be and should be a catalyst for good,” says Blumenthal. For many, eyewear is more than utilitarian. It is indeed an extension of the fashion world, a form of personal style and expression. So the founders were challenged with persuading consumers to buy prescription glasses online rather than in-person at a retail establishment where they can immediately try them on. Warby Parker implemented the “Home Try-On” program. Customers can select up to five different, non-prescriptive frames which are shipped at no cost to their doorsteps. They then have five days to try the frames, solicit feedback from family, friends, and style gurus. After making a selection, customers simply return the frames using a pre-paid shipping label and order their chosen pair through Warby Parker’s website. The team behind Warby Parker succeeded in building awareness through a well-targeted campaign convincing aspirational media outlets like GQ and Vogue to feature them. After selling out of their top 15 styles in four weeks, Warby Parker accumulated a waitlist of 20,000 people. Warby Parker has since expanded from operating out of Blumenthal’s apartment to selling frames at their own brick-and-mortar stores. More recently they launched the “Warby Parker Class Trip,” transforming a school bus into a mobile showroom for a cross-country road trip to bring the Warby Parker experience to the masses. To hear more about how this start-up became one of the most talked about entrepreneurial ventures, listen to Neil Blumenthal’s full interview on PJA’s The Unconventionals.